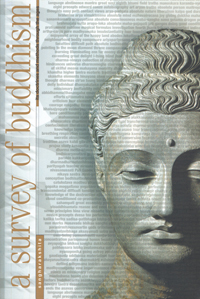 Firstly, we’re putting everyone who has donated to our fundraising campaigns into a prize draw to win a copy of A Survey of Buddhism signed by Sangharakshita. If you haven’t donated yet, just visit our Sponsor a book page, and click on ‘Sponsor Sangharakshita’s Living With Kindness and Living Ethically‘, or ‘Sponsor Sangharakshita’s Wisdom Beyond Words and Dhammapada.’ Anyone who has already donated or donates from now on will be added into the prize draw. Feel free to donate to both campaigns if you’d like to enter the draw twice! Remember that everyone who donates £30 or over will also receive the eBook editions of the two works, plus a bonus eBook of A Survey of Buddhism. If that isn’t incentive enough, watch this short video of Maitreyabandhu talking about how A Survey of Buddhism changed his life. Lastly, we’re happy to announce that from late August we will be selling two new books by Sangharakshita: Early Writings: 1944-1954 and Anagarika Dharmapala: A Biographical Sketch and Other Maha Bodhi Writings. We’ll keep you posted with exact release dates nearer the time. So please join in and celebrate Sangharakshita’s birthday with us!